For more than 40 years, Westfield students, families, fans, faculty and staff have shown amazing dedication to our teams competing at the Hornets’ Nest. And now you have a chance to help ensure a bright future for Hornets’ athletics as we embark on a fundraising campaign to build a new pavilion to serve the Hornets’ Nest teams and fans! The new Hornets’ Nest Pavilion, expected to be completed in time for the upcoming football season, will house a much more sophisticated kitchen and concession area, as well as new men’s and women’s restrooms. 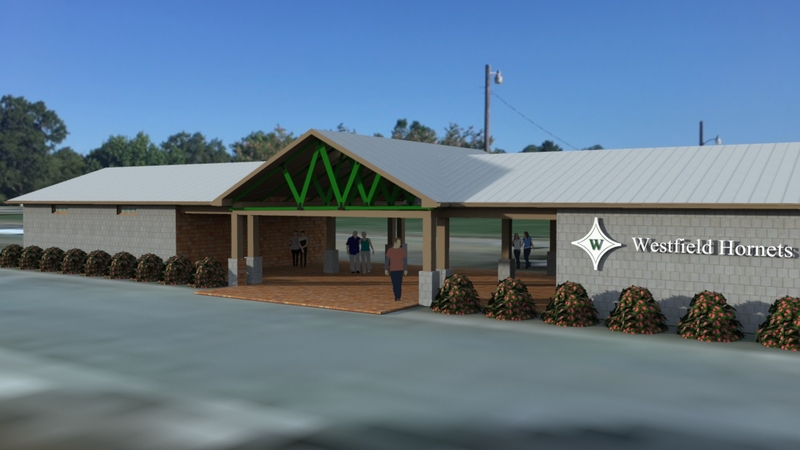 The pavilion will incorporate the current concession/restroom building, however the existing structure will be completely remodeled and expanded to double the current size. This new facility will allow us to better serve our students, parents, alumni, fans, and visitors in several sports including football, soccer, cross country, and track & field. If you would like to make a donation toward the new Hornets' Nest Pavilion, please contact our Development Office at 478-987-0547 ext. 224 or by email (lmedlin@westfieldschool.org) for more information.